We’d love your help. 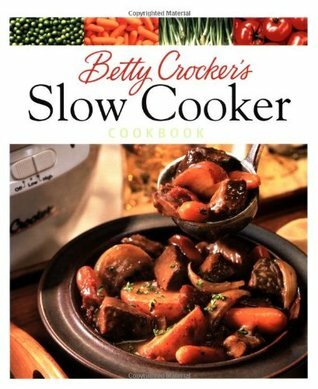 Let us know what’s wrong with this preview of Betty Crocker's Slow Cooker Cookbook by Betty Crocker. To ask other readers questions about Betty Crocker's Slow Cooker Cookbook, please sign up. I really like this one. A fellow BookCrosser gave it to me and every recipe I've tried has been at least pretty good, some of them excellent. I tried the New England pot roast yesterday, but it needed more horseradish. The long cooking time mellows it out so much you can hardly even taste it. But it was still easy and good. This book had a few recipes that looked good. It didn't have pictures, though- and that is my favorite part of a good cookbook. It was pretty thorough, as slow cooker cookbooks go, but like I said, it didn't have too many recipes to tempt me and my picky family. I expected more out of a Bette Crocker cookbook. The recipes in the book looked boring, old fashioned and "typical". I think that there are books that contain a lot more exciting, contemporary and unusual types of crockpot cookbooks out there that would be much more worth looking into. Our family tried about 5 recipes from this book - all totally disgusting. 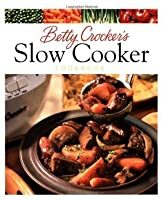 I thought with a name like Betty "Crocker", we'd get some good "crock" pot recipes. wrong. Very excited! Time to break the seal on that Crock pot. First up, steak chili! 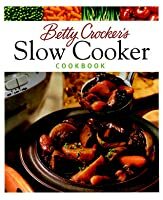 I love Betty Crocker, and I am enjoying using my crockpot more using recipes from this book. Nice, easy recipes, some basic, some more exotic, but nothing too "out there". This is the only cookbook I have that I actually use. Also, it is very easy to modify the recipes to come up with your own flavor. This is more my speed! Slow and steady. To try: Picadillo (a Mexican Version of Hash) - page 72!